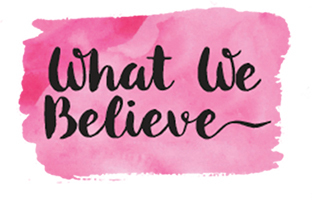 Hello Crafting Chicks readers! 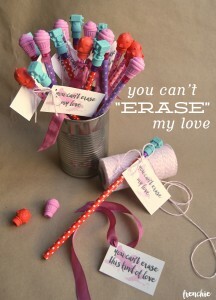 I’m so excited to be here and to be showing you this incredibly inexpensive and Crazy Cute Gem Eraser Valentines. 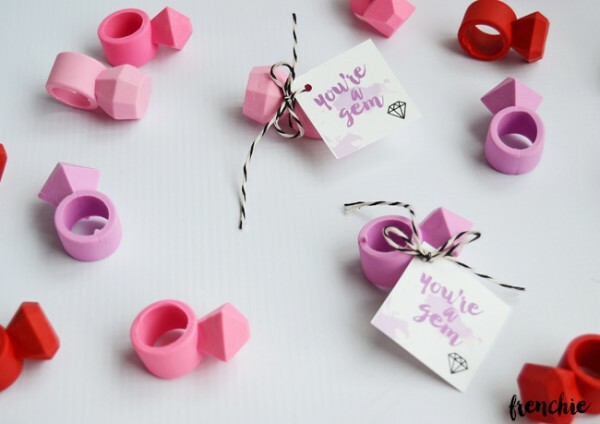 I live for Target and anything they have so when I saw these Gem Ring Erasers in the Valentine section for $3, I couldn’t resist. 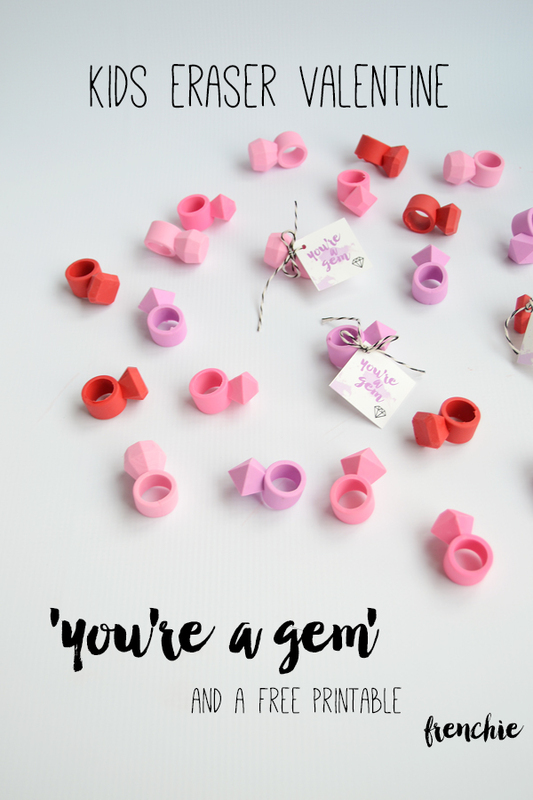 You’ll only need a few supplies and a few dollars to create these ‘gems’. 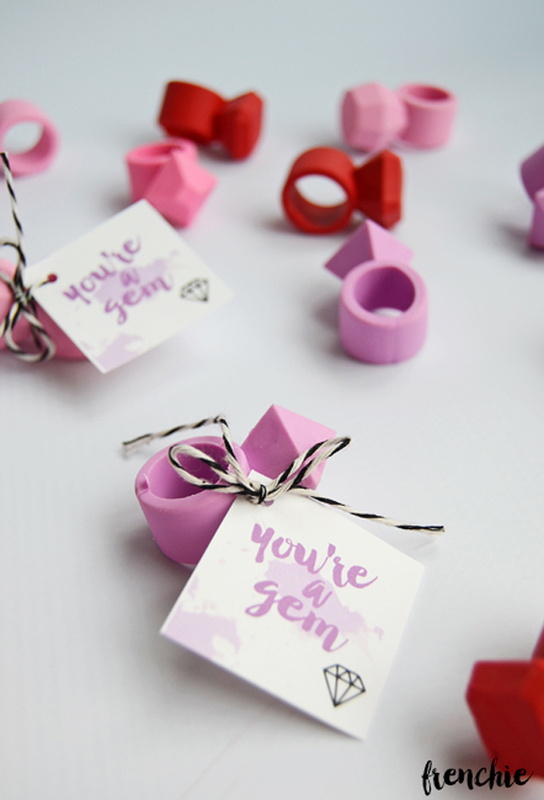 To create your own Gem Eraser Valentines, cut up the printable into 1.5″ squares, punch a hole and tie onto your rings with some twine, that easy! 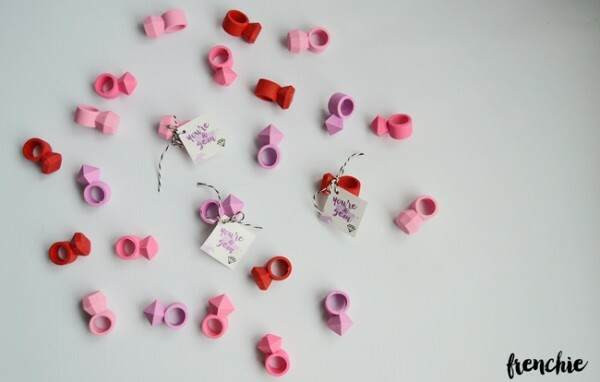 Make sure to give one to your number one crush. 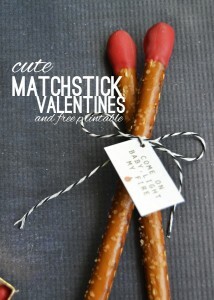 I hope that you love this Valentine because I have plenty more on my own blog, Frenchie.